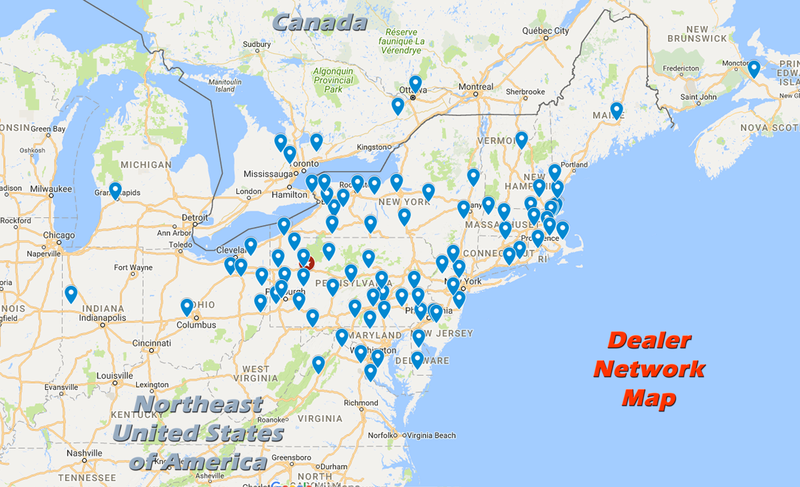 Car Mate Trailers Inc. has over 80 dealers located in the Northeast United States and Eastern Canada. Please use the Dealer Locator below to enter your zip code or postal code to find your closest dealer. You are welcome to submit a request for quote for a particular Car Mate Trailer model or contact your dealer directly by phone or email to see what they have available in stock. Please contact your local dealer for all trailer purchases and parts purchases. Sorry, no factory direct sales. Unfortunately, we do not have any dealers in the western or southern part of the United States.